Christmas is a time for communities to come together and surround each other with love, supporting those who are less fortunate. 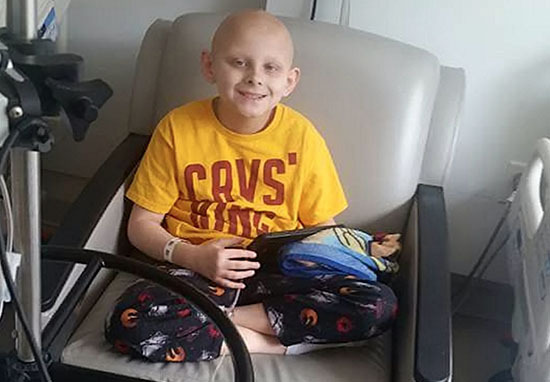 Which is exactly what one town in Ohio, USA, did for a 12-year-old boy who was told he might not live to see Christmas. Keith Burkett has a rare form of cancer called undifferentiated soft tissue sarcoma, which affects his skull, shoulder, spine and liver. When doctors told his mum he might not make it to Christmas, the town rallied behind her to create the experience of a lifetime for Keith. People within the community pulled all the stops out – decorating their homes, singing Christmas carols and dressing up to really get in the festive spirit. And it didn’t stop there. 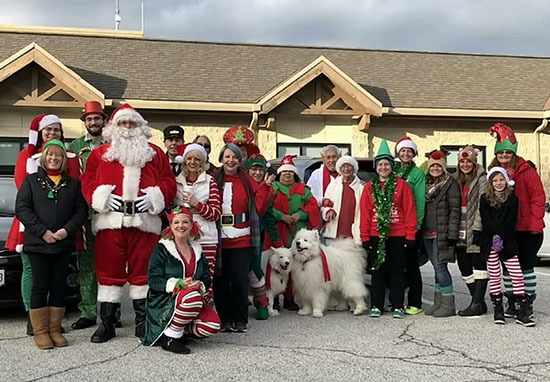 A procession of more than 100 cars drove through the town, each decorated for Christmas, and Keith even received a medal of bravery from the town’s mayor. The idea started out when his mum, Taylore Woodard, 32, decided to decorate their home early so that Keith wouldn’t miss out on his favourite time of year. He loves Christmas. 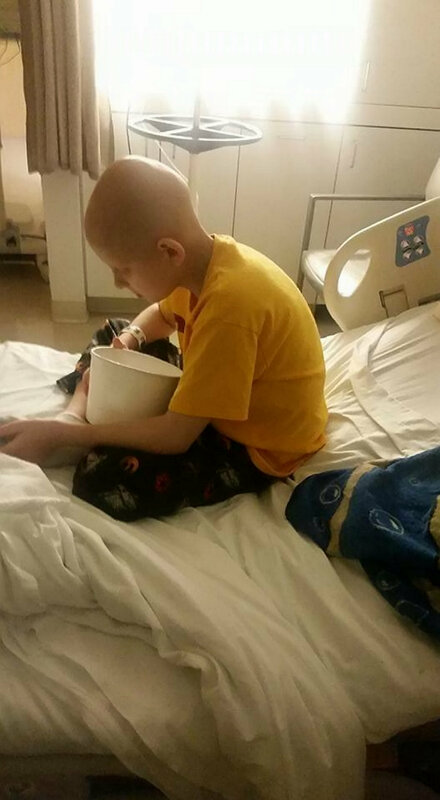 His life has been taken up with cancer and medicines and I wanted my son to enjoy one last Christmas. So at the end of September, we made our house into a winter wonderland. We put lights up, candy canes, polar bears and Santas. We had a North Pole sign and put up a banner that said, ‘Merry Christmas Kourageous Keith’. The wonderful sentiment soon caught on though, with neighbours following her lead and celebrating Christmas early for Keith. We noticed our next door neighbours put up some icicle lights and garlands and soon everyone was doing it. To begin his special day, his friends arrived at his house dressed as Santa and elves from the North Pole. 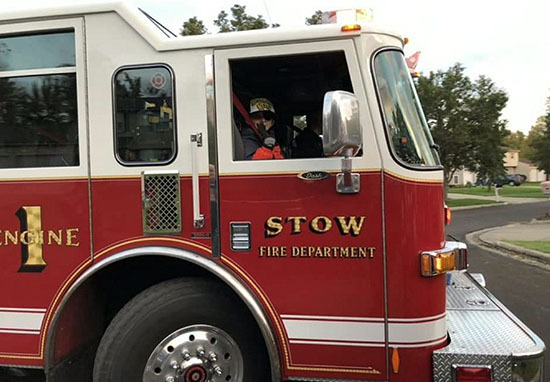 He then got to ride in a fire truck to Stow-Munroe Falls High School, where the crowds were waiting for him and he got to see all of the cars decorated in his honour. It was awesome. The fire truck was my favorite part because I’ve never been in one before. I got to beep the horn. A proclamation was read in Keith’s honour, declaring that October 21 was officially Keith Burkett Day. Keith was first taken to hospital by his mum on Christmas Eve in 2010, when he was five years old. It was there that doctors found fluid on his heart, which led to him having surgery on Christmas Day. From then, Keith was in and out of hospital but wasn’t diagnosed with undifferentiated soft tissue sarcoma until March 2012. He then underwent surgery to remove the cancer, as well as having four courses of radiation and chemotherapy. 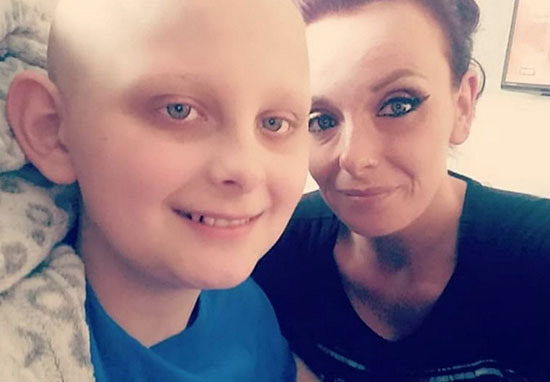 Unfortunately though, the cancer returned each time and in May this year, doctors found it had spread to his skull, left shoulder, lower part of his spine, pelvis and liver. Keith’s mum was told by doctors that he might not make it to Christmas, which is when she decided to celebrate it early for him. He was my first born. It’s hard to watch your son die and know that you’re not going to have another Christmas with him. No mother should outlive her child. Keith was transferred to a hospice two months ago and Taylore gave up her job to spend as much time as she could with her son. Our thoughts are with Keith and his family.